Would you like to be better at spelling? Want a quick and easy way to enhance your abilities from within? Spelling is a skill, and like any skill it can be improved. You need to be able to see words as a whole, hear what they sound like, and be able to apply the rules whether you're saying them out loud or writing them down. 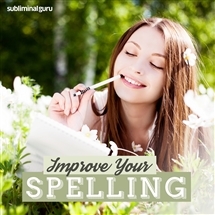 With the Improve Your Spelling subliminal session, you'll boost your mental potential from the inside out! As you listen, thousands of powerful positive affirmations will influence your thinking, helping you focus on forming words. You'll start to visualize words clearly in your mind, able to remember more and more of what you see and hear. You'll relish the challenge of spelling complex and difficult words as your proficiency and expertise increases. 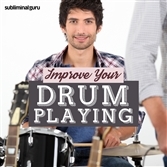 Download the Improve Your Spelling subliminal audio now to enjoy a mastery over words for many years to come. I have a knack for spelling. I love the challenge of spelling complex words. Spelling comes easily to me. Spelling is one of my strengths. I have a vast memory for words. Difficult words are easy for me to spell. I always do well on spelling tests. Every day my spelling skills improve. I see words clearly in my mind. I know the rules of spelling inside out. I'm a whiz at spelling.